Wow! 8! I didn’t even realize it was that many. There are some pieces that have lasted EVERY move and others that have at least lasted a couple. Considering I’ve gone from tiny apartment to room at my mom’s to big apartment to small to big duplex back to small now back to big… a lot of items have come and go in the process. 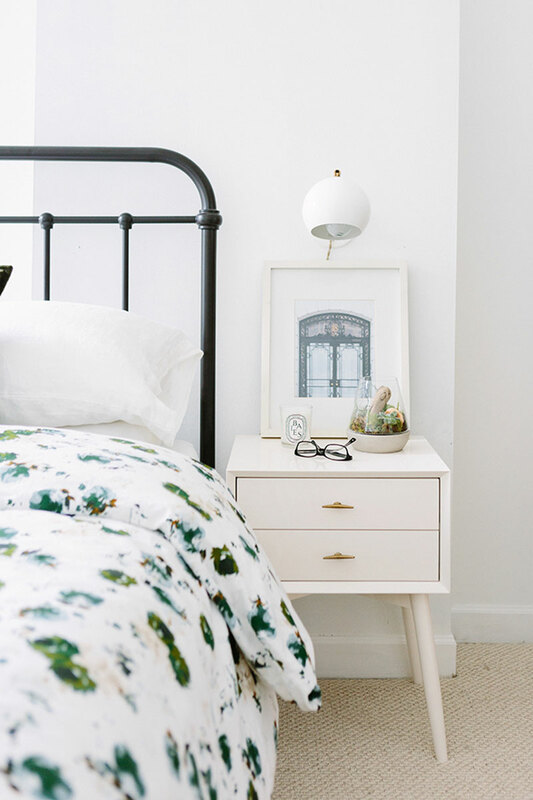 Here are ten classic home decor and furniture items that I’ve had for a long while – or at least have NO plans to give up any time soon. 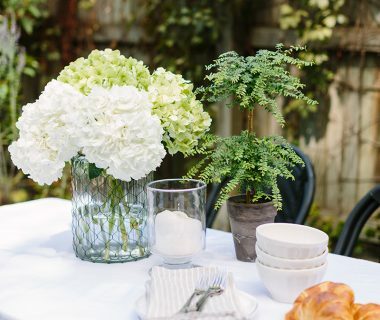 And I highly recommend investing in any of these if you’re in the market as their neutral palette, quality materials and construction, and classic design are sure to work in any space or style home. 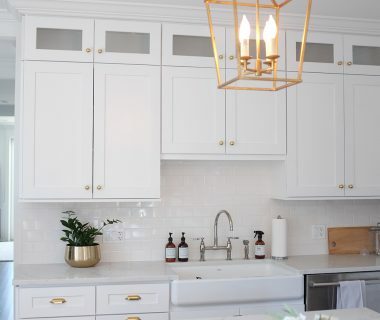 How Long We’ve Had Them: Ok so we now have TWO sets of brass plug-in wall sconces in our home – in the living room and in the bedroom. Love both. Love the functionality. Love what they bring to both spaces. Again – super diverse and can use them in many ways. 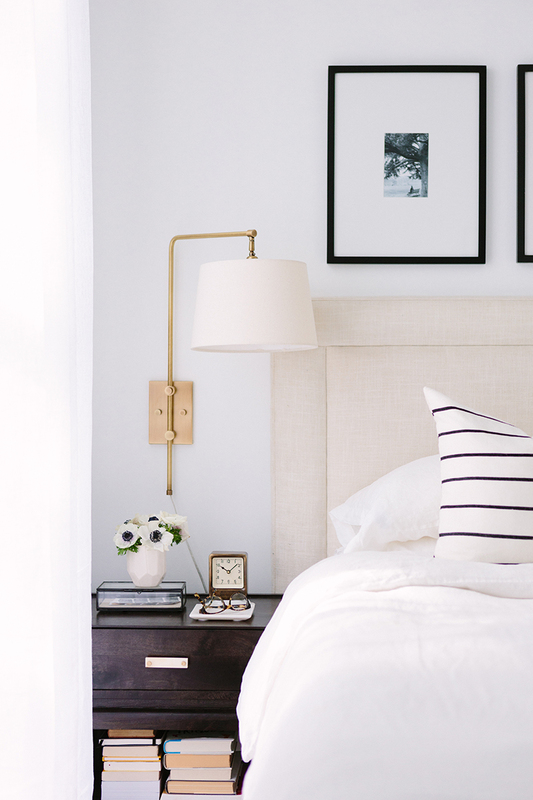 Shop the bedroom sconces here. 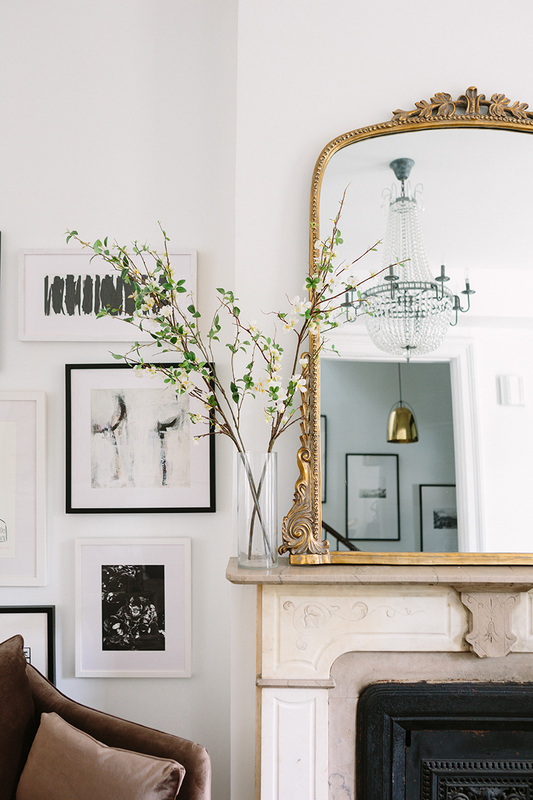 Shop the living room sconces here. 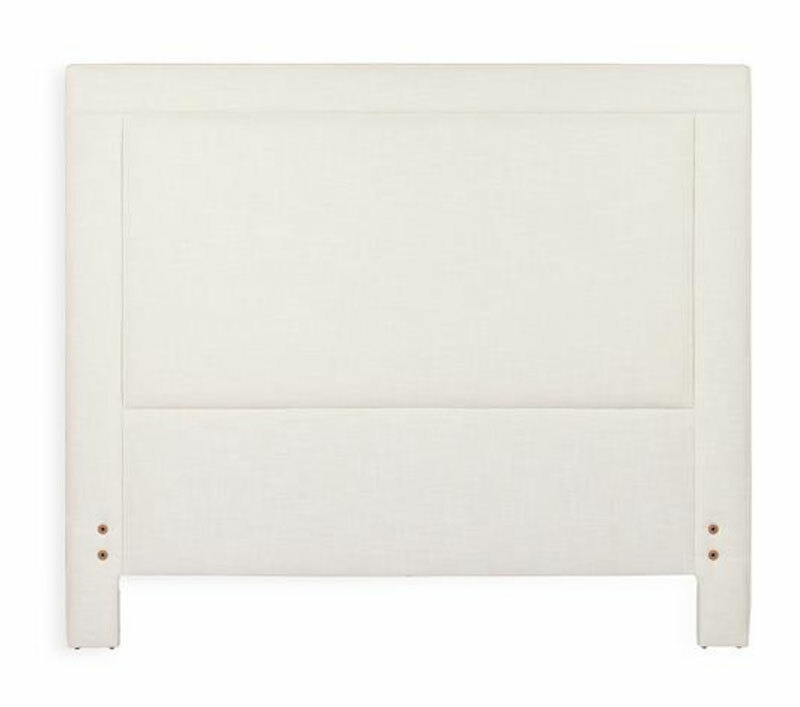 How Long We’ve Had It: I got this linen headboard… oh… four years ago? And it’s been with me through three bedrooms now! I love it and have on plans to change it any time soon! 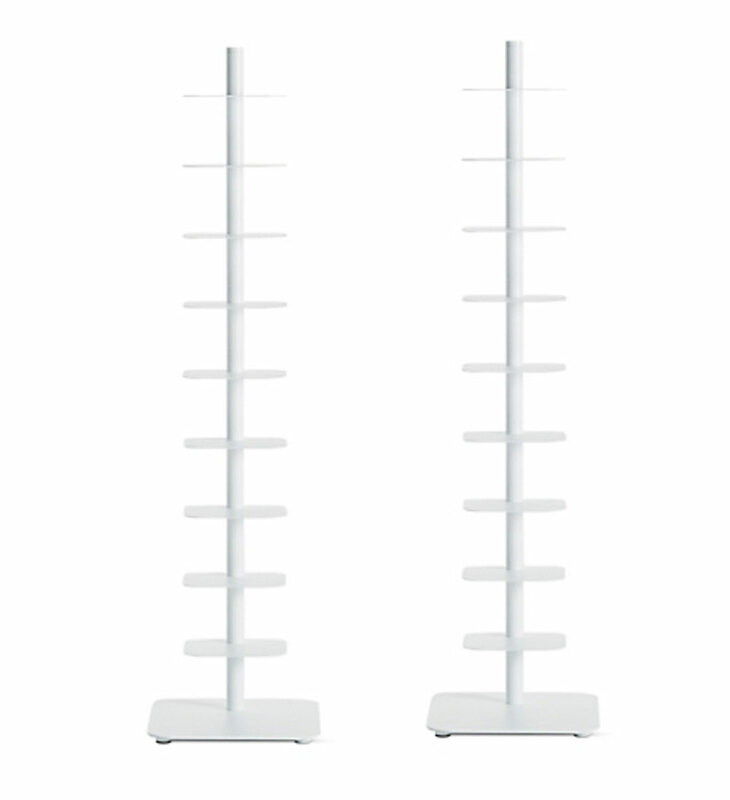 It’s timeless, has worked in different room designs, comfortable to lean against. And I really love the detailing that the upholstery goes down to the floor. That’s why the price is higher than this more affordable option – which my mom actually has in her home so I can attest that it is LOVELY! 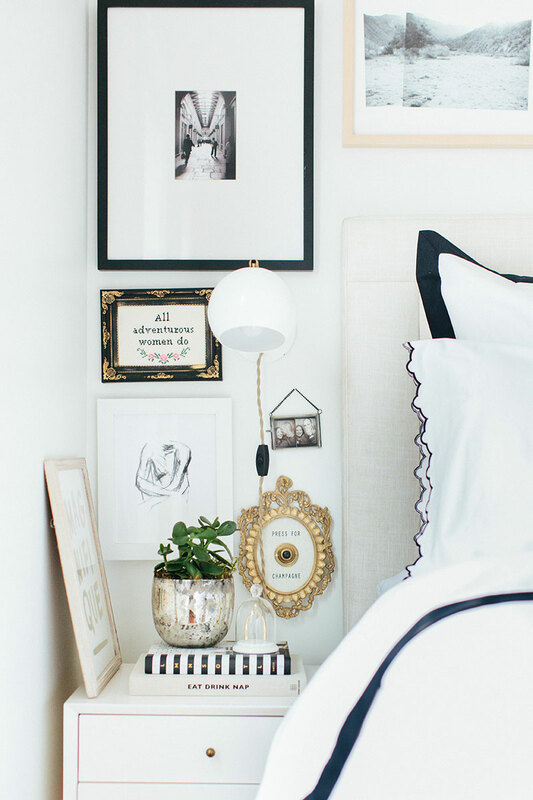 I’ve literally had the three black oversized mat picture frames above our headboard SINCE COLLEGE… so over ten years and they’ve lasted at least 8 moves? Talk about a worthwhile investment! (As long as you take care of them.) That other bed photo is from my first Chicago apartment 7 years ago. 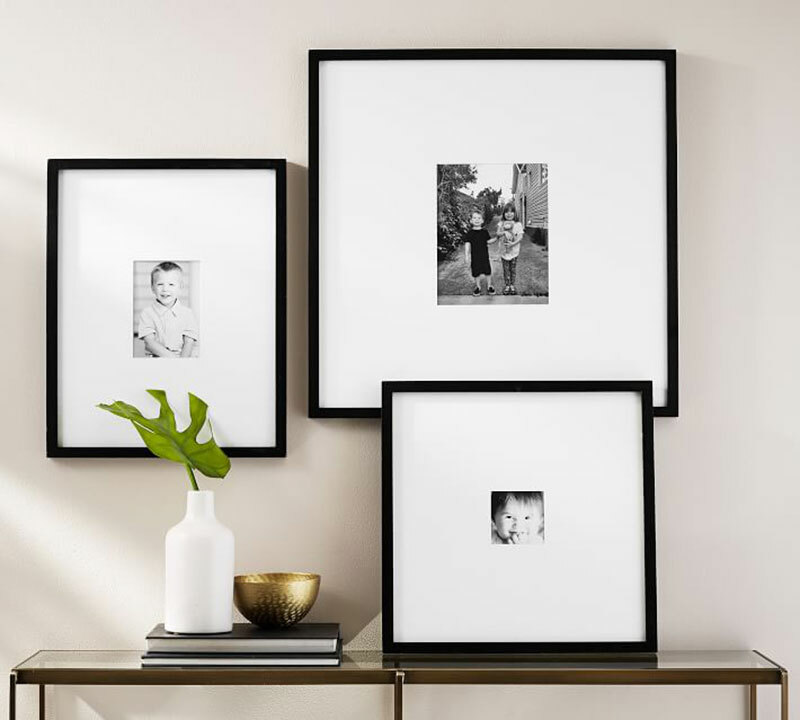 We have three of the 5×7″ option – note the PICTURE is 5×7, the frame size is much larger because of the matting. 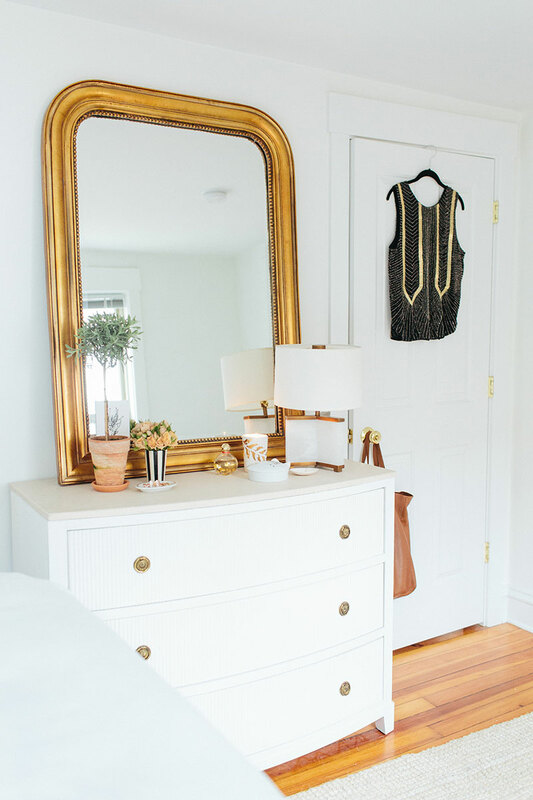 How Long We’ve Had It: I’ve now owned two gilded mirrors actually… I loved the first and the only reason I switched it was because I wanted something on a bigger scale for our current mantel so we got this one in the 5′ size. 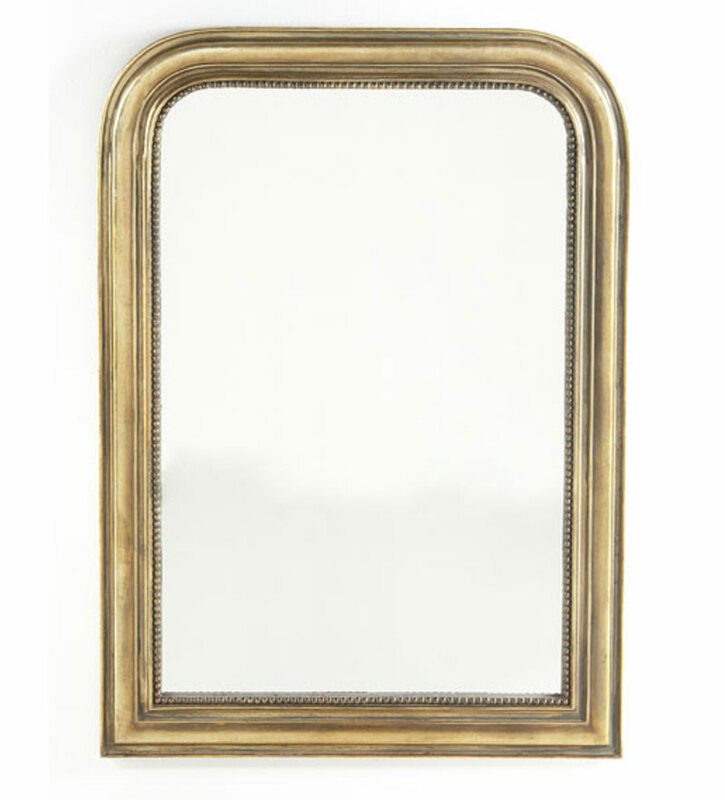 Shop the French gild mirror here. Note it’s much more gold in person than the product photo on the website. 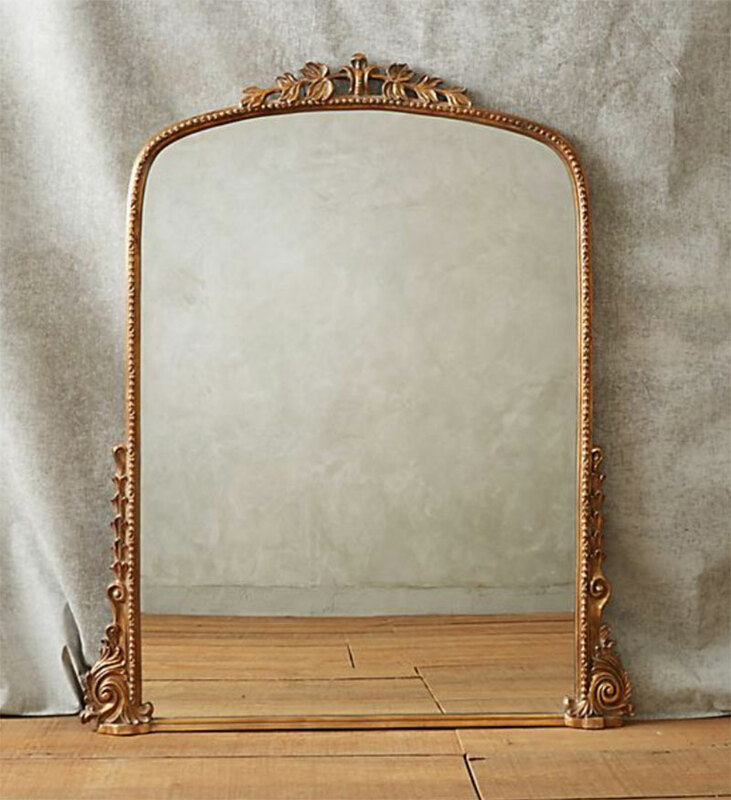 Shop the new primrose mantel gild mirror here. How Long We’ve Had Them: We got the large scale modern art in our living room over two years ago and I have no plans to stop using it any time soon. I love it. I would use this in any room of the house… hallway, living room, above a bed, in the dining room. It’s such a great dramatic piece. 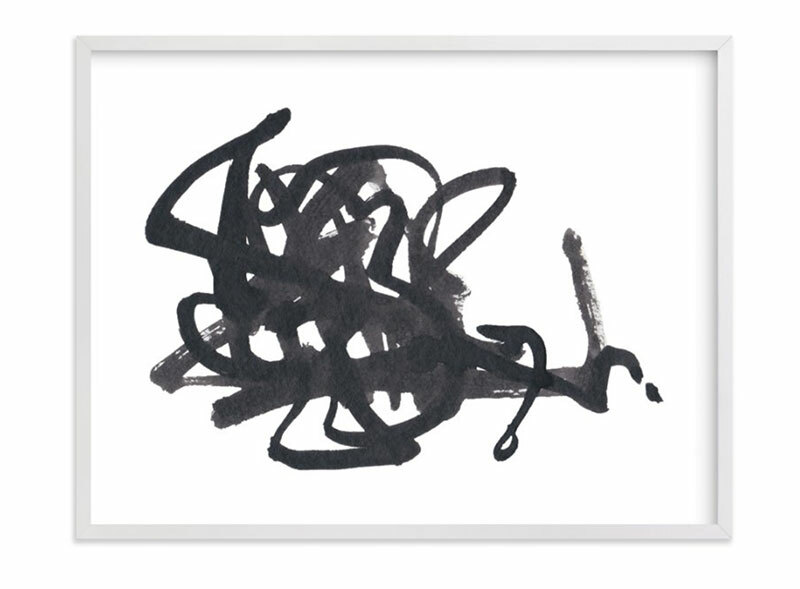 We have the 54″x40″ print with white wood frame and a white border. Also, I’ve had the European sketch prints I drew since my first Chicago apartment – so 7 years. Will be selling these again soon! Stay tuned! 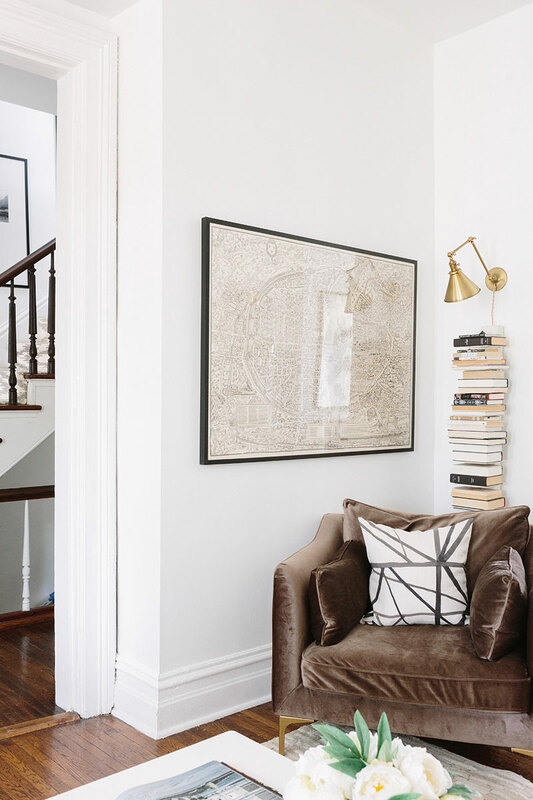 How Long We’ve Had Them: Oh the spine bookshelves… I got these about ten years ago from West Elm (who no longer offers them) after seeing them in Erin Gates’ home (the first blog I ever read). These have made it through every move with me. So many people think that I literally stack books on top of each other in a tall tower. Haha cracks me up every time. I get it gives that illusion but you can see the white spine. I’m not a crazy person! And each shelf holds 3-4 books so yes – functionally it’s VERY easy to access all of your books and the back isn’t completely flush against the wall so even though I have many books spine out–I can still easily see what is what. The original design is available at DWR. Shop more affordable option here. How Long We’ve Had It: This was my first BIG home decor purchase six years ago. I got the roll-arm from Pottery Barn – but in the “grand” size so over 90″ wide. It was big. Then I switched it out when we designed our own version of a roll arm with Interior Define (I believe we have the 83″ option). 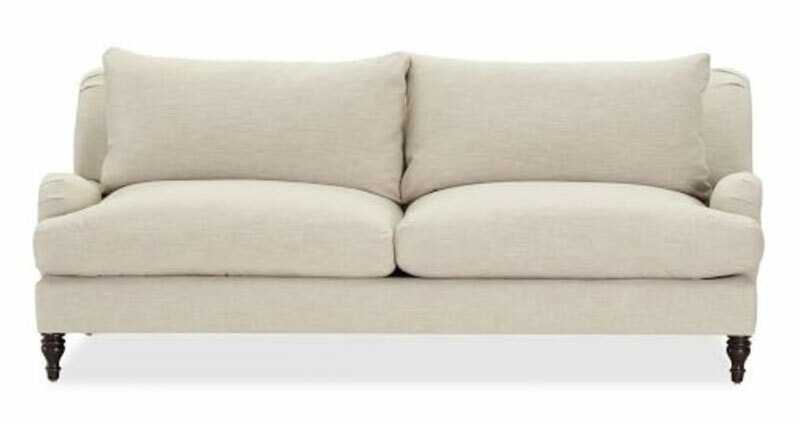 No plans to not have a roll arm sofa in my future. It’s my favorite style! 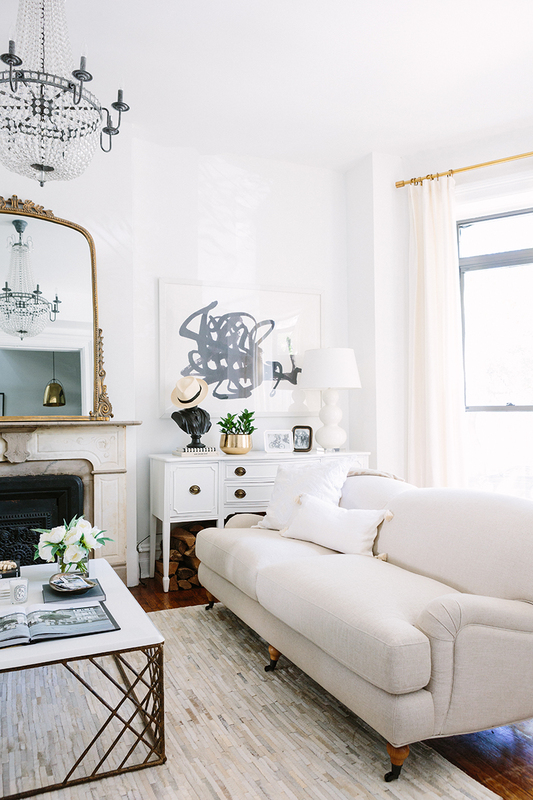 How Long We’ve Had It: I got this gourd lamp for a few years ago – it’s an oversized, classic design that brightens any room. I just love it. The gourd design is timeless. The color works in any room. The shade is bright and gives off a lovely, soft light. 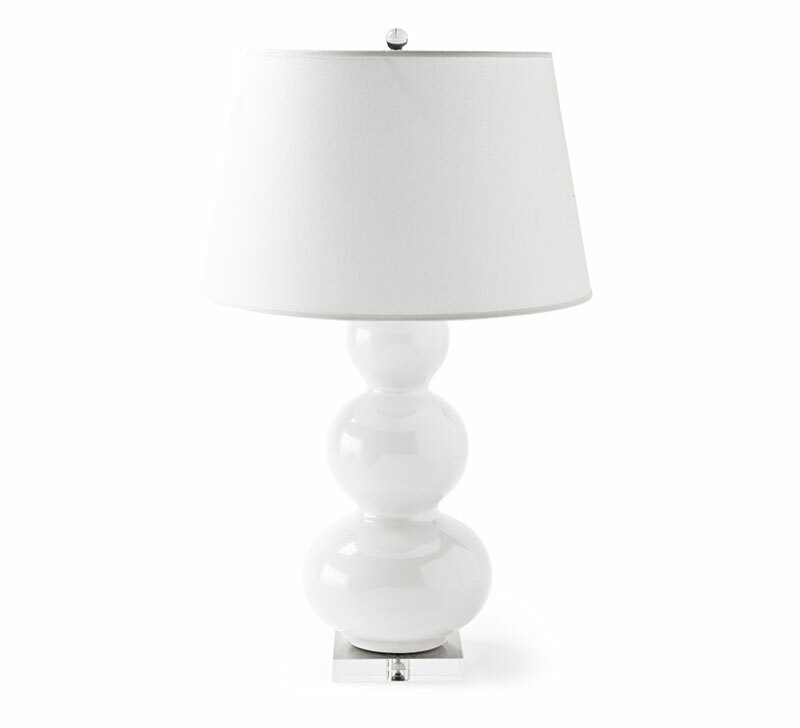 Shop our white gourd lamp here. Similar here. 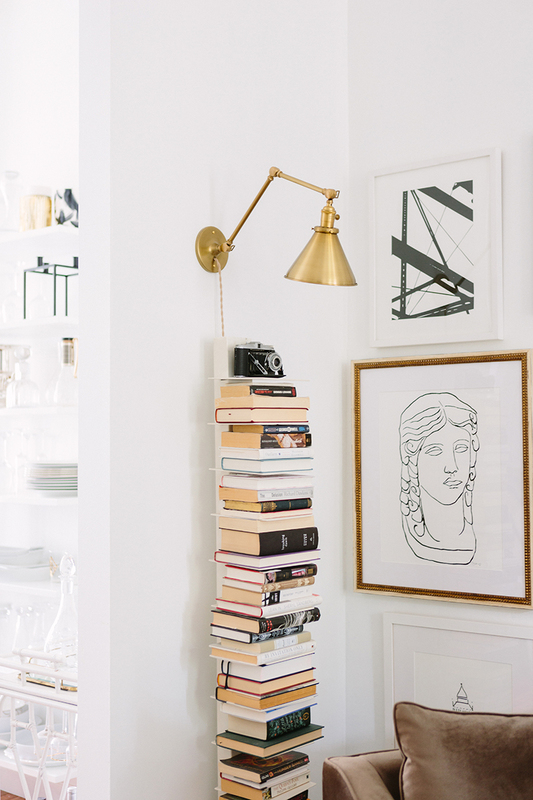 Shop a more budget-friendly gourd lamp here. 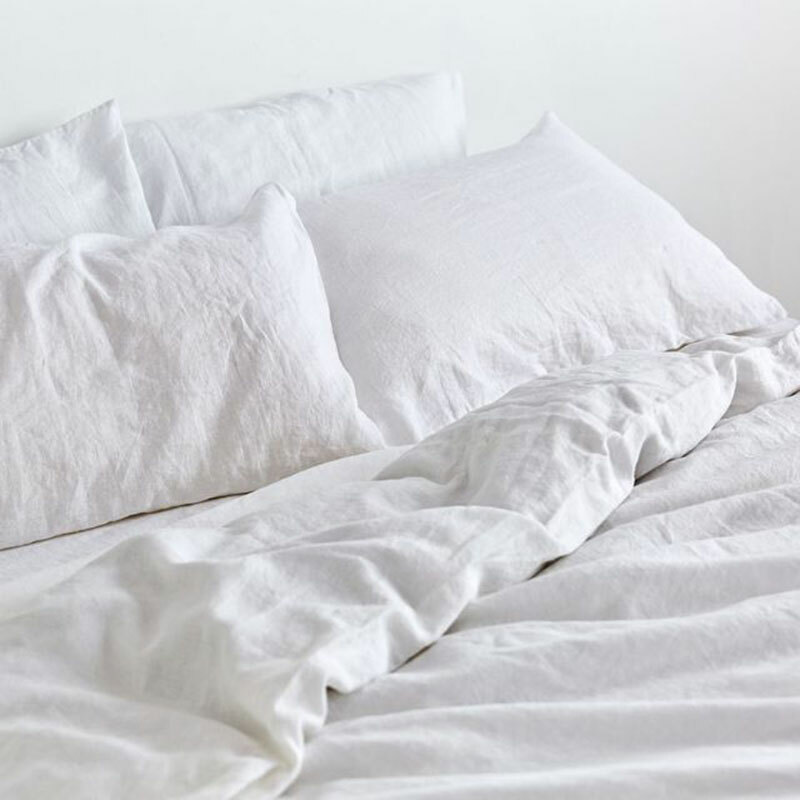 How Long We’ve Had It: I’ve always been a fan of white bedding – it’s like sleeping on a cloud. 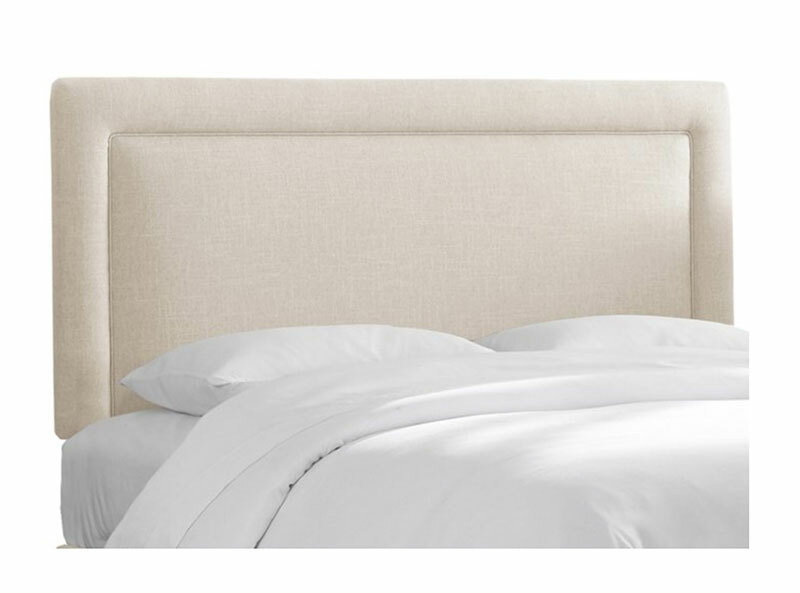 But we invested in our first set of linen bedding about two years ago after Danielle kept raving about her West Elm set. Aaaand we have never looked back. It’s luxurious. So soft. Washes easy. Highly recommend. How Long We’ve Had Them: Last but not least! The workhorses. 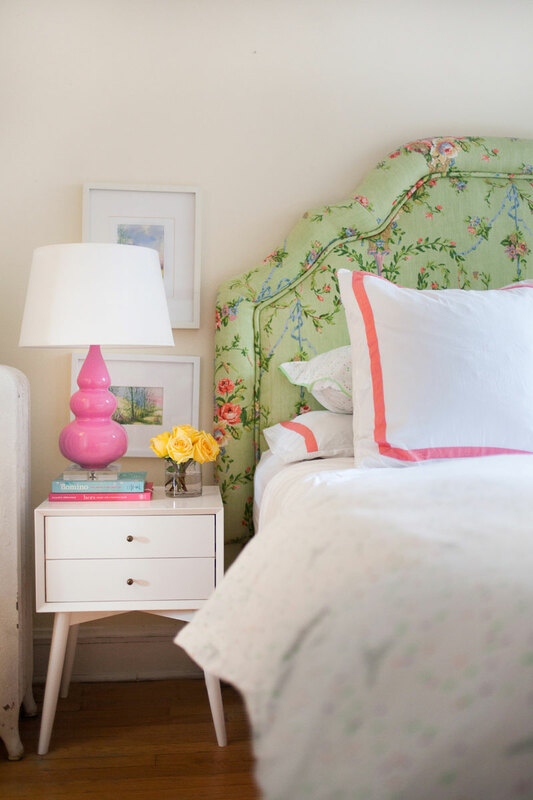 As you can see… these classic nightstands have withstood the test of MANY changing styles I’ve dabbled with. 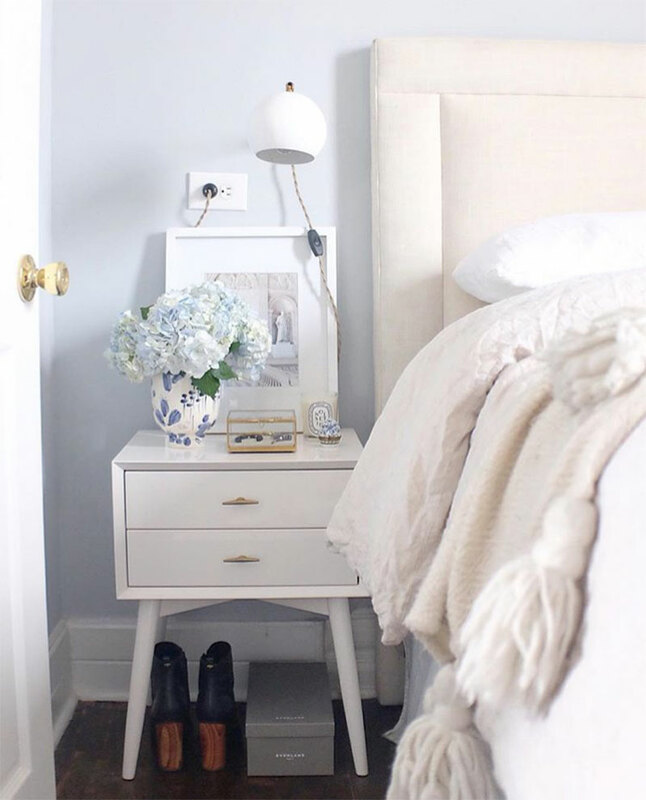 I got these nightstands from West Elm five or six years ago… they were my first grown-up matching nightstands. That arrived assembled. I remember feeling very fancy. No screws and bolts to deal with?! Our dining table – 100% a size issue. I’ve gone from big apartment to small to big to small twice over now. Our coffee table – I still own my favorite reclaimed wood table from Jayson Home but it’s been in storage at my moms for years because it didn’t fit in our last place and it doesn’t go with the style of our current place. My sister is now temporarily going to use at her new home. I love it and hope to one day use it again but at least now it will see the light of day again! Our dresser – again this has switched out a few times for various reasons. I had my painted thrift store dresser for a long while until it literally started falling apart. Then we needed to get a second when Dan and I moved in together. And then we got a bigger one when we moved into this place. Again – I love the styles I’ve had – but the different apartments have called for different sizes. 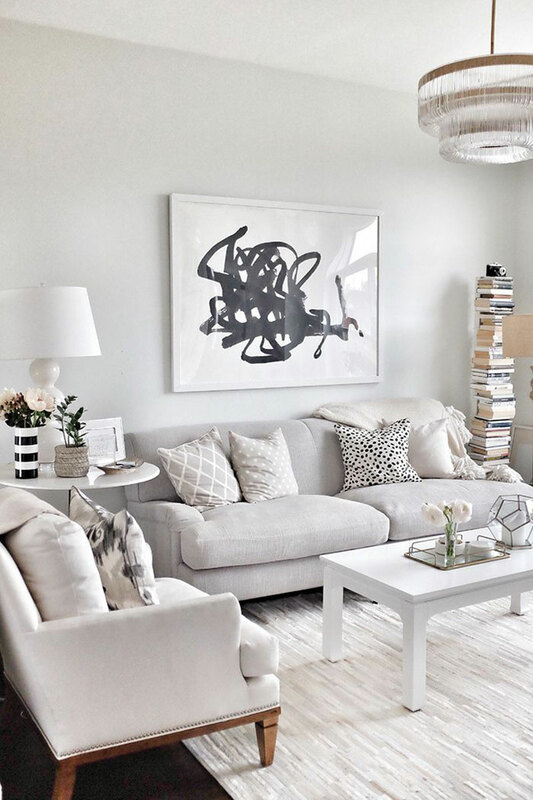 Rugs – This 100% has to do with wear and tear and having pets. Our dogs throw up. A lot. I’ll leave it at that. I love posts like this one! I like seeing what has lasted, what you felt was worth the investment and what just hasn’t worked out as well. Thanks for the photos showing the pieces over the course of many years and moves. 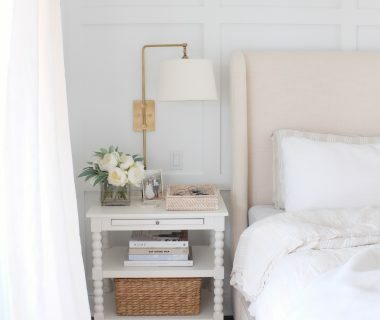 I love the West Elm nightstands; I would love to have them in my home one day. Great post Alaina! I always love seeing what has lasted the test of time! (and seeing your apartments over the years!) Thanks of sharing this with us! Great pieces! 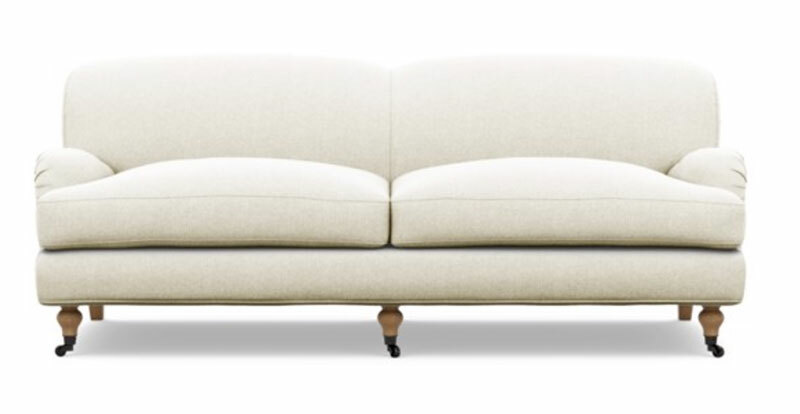 We also have an English Roll arm couch—so versatile! Love your style! I often read your tickets and I noticed that you liked the golden accent, just like me. The details are very important and the white and gold, together, lavish clam and luxury on any decor. 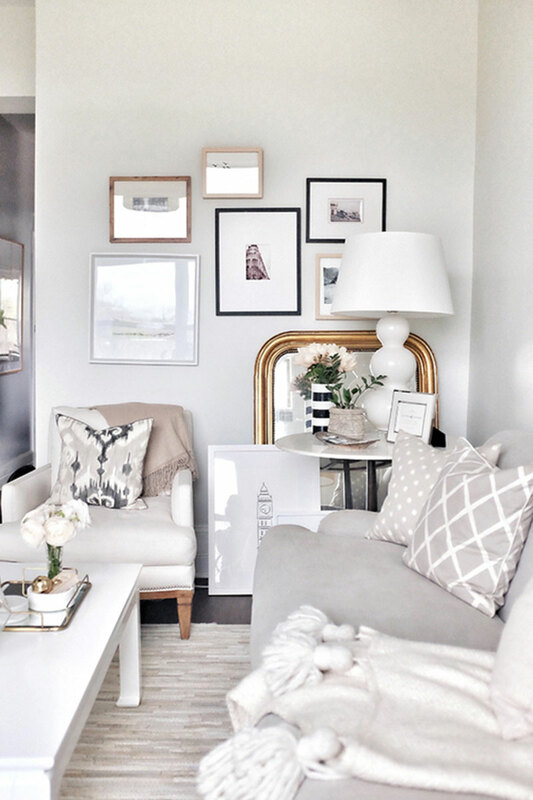 I particularly like the living room mirror! Personally, I opted for this store that offers great finds for both modern furniture and accessories : https://mobilia.ca/. Do you know it? We seem to have the same tastes. I look forward to reading from you! I love your taste. Where did you get the pillow covers on your bed? 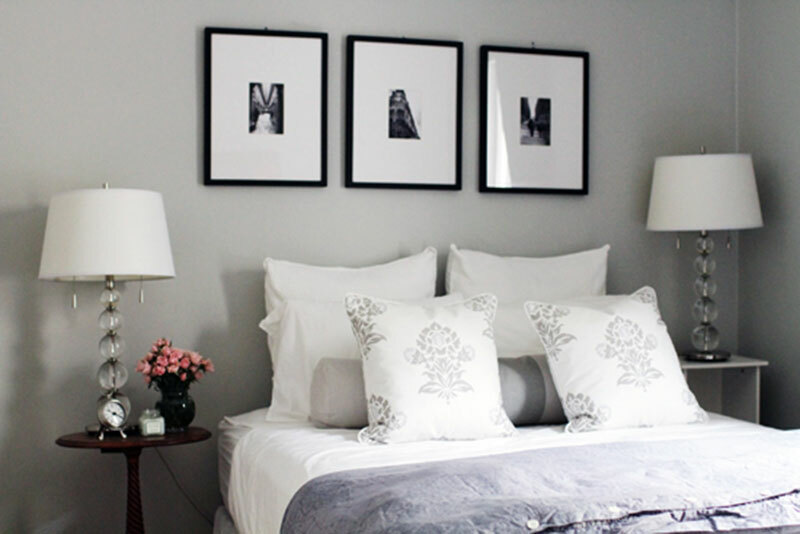 I love your headboard, sconces and overall look of the bedroom. What is the color on the walls?